What Happens at Impact and After? To help you get a better feel for impact, imagine you are painting a wall. With the brush in your right hand, move the brush from right to left to bend the bristles against the wall. As you move the brush on the wall the right wrist is leading the bristles. This is the position of your right wrist just prior to and at impact. You certainly would not push the brush across the wall. If you did, you wouldn't get much paint on the wall. Now put the brush in your left hand and make the same motion. Your left wrist will be firm and flat as you move the brush across the wall. This is the same feel you should have with a golf club in hand just prior to and at impact. Practice hitting chip shots and imagine your are painting a stripe on the turf as you strike the ball. 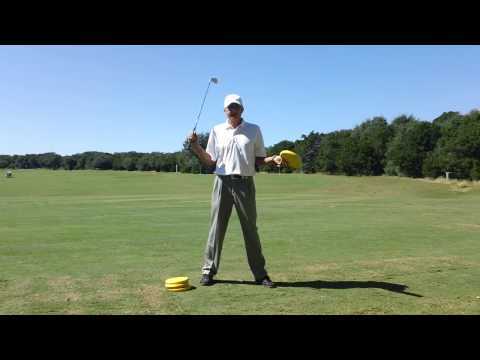 This is a good drill and will help you get the feel of the left wrist leading the club into impact. The biggest mistake most golfers make is the left wrist breaks down and this prevents the proper folding of the left arm after impact. Note the gap between the left arm and the side in the picture below. This position of the left arm is commonly referred to as a "chicken" wing. After a little work on the practice tee, look at the new and improved position in the picture below. Look how the left arm is closer to the side and the right arm is extending through the shot. When looking at video or stop action pictures, I look for the above position after impact. Note how my left hand is visible and my right hand is above my left hand. This position indicates a good release has happened and a good shot is the result. Prior to impact the left wrist should be leading the club head into the ball. Just after impact, the left arm will begin to fold and the force of the club swinging will allow the wrists to release. Imagine you were going to make a backswing and then sling your club out in the range. Now that would be a true release! But I think you would see if you were going to sling your club out in the driving range, your arms would extend toward that end result. The bottom line is to try and feel like you are swinging through the ball to the target and not just swinging at the ball. 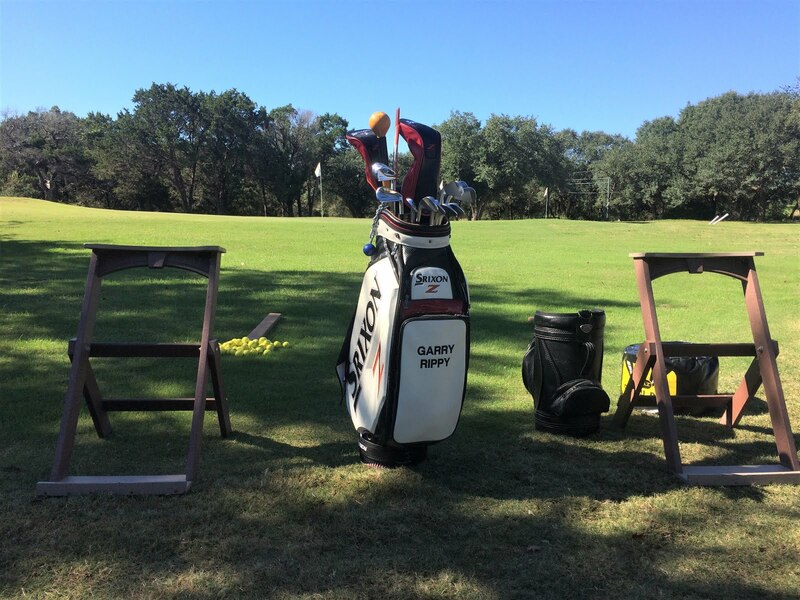 Most golfer's practice swings are better than their real swings. Without a ball, it seems the effort level is greatly reduced. The next time you go practice, another great drill to perform is to hit balls with a 7 iron off a tee and try to feel you are making a full swing, but try to feel like you are exerting 50% of your normal energy. I think you will be suprised how much better your ball striking will get.